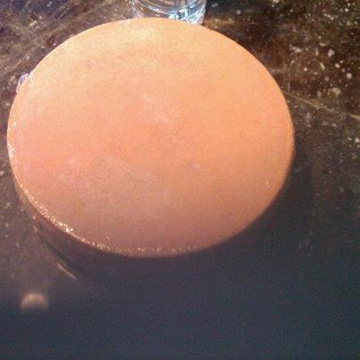 The nearly five-pound cheese wheel I received from Jean-Claude Biver, Hublot, this holiday season. I’ve known Jean-Claude Biver for almost three decades … since he launched the Blancpain brand in the early 1980’s. 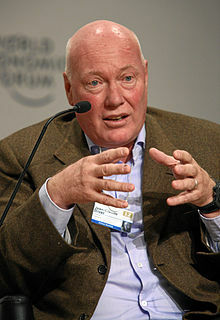 Biver, the CEO of Hublot, is known globally as one of the most successful, and exuberant executives in the Swiss watch industry. He is also the maker of some of the most exclusive cheese in the world. The procession from the mountains to the farm. 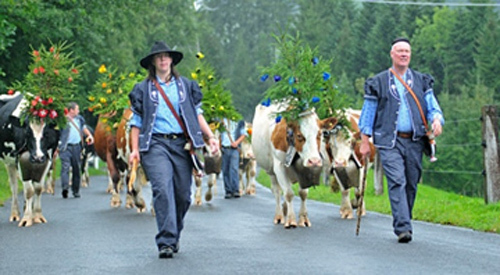 Jean-Claude Biver leads the way, and adorns the cows with meadow flowers. 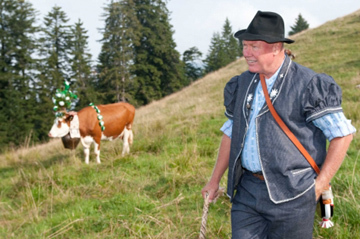 Every year, at his farm in the Swiss Alps, Biver produces cheese – made from the milk collected over just a few weeks from his cows, as they graze on alpine meadows flowers. The milk from the cheese has a sweet, flowery taste that renders the cheese sweet yet strong. The milk is heated over an open wood fire, and then ages all summer. Biver doesn’t sell the cheese; he uses it as gifts for family, friends, brand followers and a few restaurants of his choosing. He creates just a limited amount so he is always in control of his cheese. For Biver, though, it is all about the tradition as well. Every year he treks to the mountains himself and leads the cows down to the farm in a procession that has become a ritual that others now partake in. We here at Atimelyperspective are thrilled to receive Biver’s cheese during the holidays. It comes as an approximately 4.5-pound round that is one of the most delicious gifts ever. It is boxed beautifully in an artist-commissioned box. This year’s box features nine square insets of illustrations of the cows with the meadow flowers on their heads. The Hublot logo also adorns the box. The cheese is mouth-watering – and best when served by itself with a good glass of wine, though a little bread with it works, too. Like everything he does, Biver makes cheese according to his own very strict codes of excellence. In his illustrious watch industry career, Biver has been instrumental in building several key companies. He purchased the name and re-launched Blancpain (which had gone out of business in the 1970’s) in the early 1980’s – building only mechanical watches and focusing on the concept: “Since 1735 there has never been a quartz Blancpain watch. And there never will be.” Thanks to Biver’s keen marketing savvy and smart business sense, Blancpain became internationally renowned. Biver sold the brand to what is today known as the Swatch Group, and stayed on in a leadership role until 2003. In 2004, he became Hublot CEO, emphasizing “the fusion of tradition and future.” Again with a clear direction, strong marketing focus and unparalleled business acumen, he built the brand to a five-fold increase in business over the ensuing four years. (Hublot was purchased by the LVMH group in 2008.) Today, the brilliant, animated Biver continues as CEO of Hublot, further investing in exclusive materials and products.